Moved into a new commercial building. May 2010 Selected as a company for Trade Support Program. by Seoul City (International Cooperation Division & Industry Support Division). 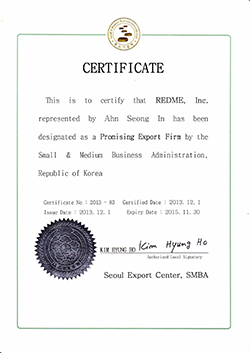 Registered on KITA (Korea International Trade Association). Founded as a Limited Company (Corporation). Head Office and Factory in an apartment-style factory.